Founded in 1873, the Vanderbilt University is a private research institution located in the city of Nashville, Tennessee. The university is known for its demanding academics mixed with southern charm and hospitality. 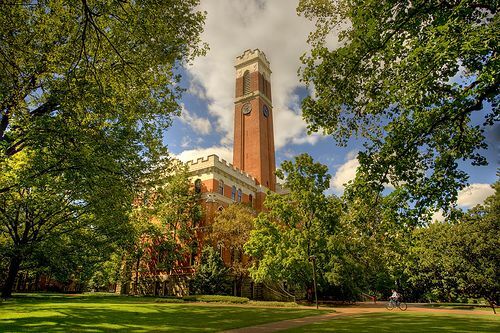 Vanderbilt is ranked as one of the best universities in the United States and the world by several rankings. In 2017, the university was ranked the 10th most innovative in the world. The university comprises of 10 schools and colleges: College of Arts & Science, Blair School of Music, Divinity School, School of Engineering, Graduate School, Law School, School of Medicine, School of Nursing, Owen Graduate School of Management, Peabody College of Education and Human Development. 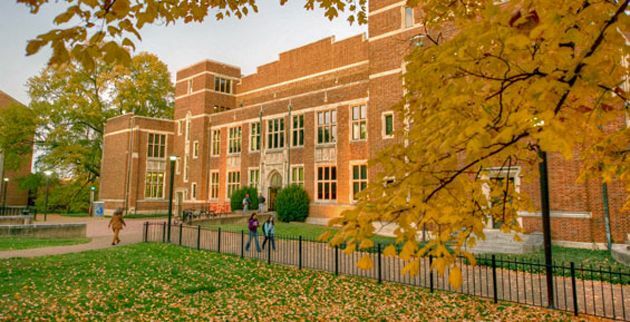 The most popular majors at Vanderbilt University include: Economics; Multi-/Interdisciplinary Studies; Social Sciences; Mathematic and Political Science and Government. The total student population at the university is more than 12,000 students of which over 6,800 are enrolled in the undergraduate programs. 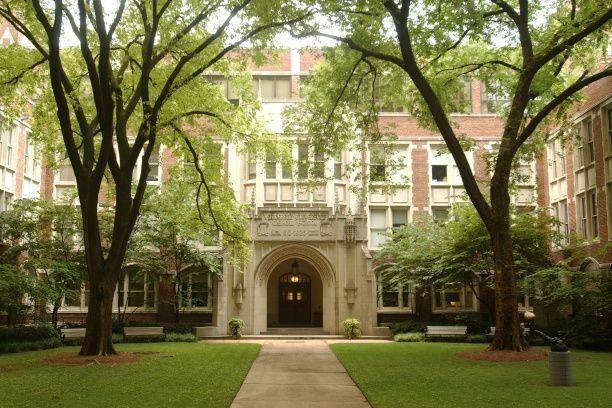 The student to faculty ratio at the Vanderbilt University is 8:1 and the acceptance rate is 12%. Vanderbilt reflects belief that a world-renowned education should be accessible to all qualified students regardless of economic circumstances through three important commitments: admission process is need-blind for US citizens and eligible non-citizens. Vanderbilt welcomes international students from over 100 foreign countries. International Student & Scholar Services fosters the education and development of non-immigrant students and scholars to enable them to achieve their academic and professional goals and objectives. It provides advice, counseling, and advocacy regarding immigration, cross-cultural and personal matters. It supports an environment conducive to international education and intercultural awareness via educational, social and cross cultural programs. This program offers an interdisciplinary degree through the Department of Psychology and Human Development. Building upon Peabody College s long tradition of excellence, the program is designed to train knowledgeable practitioners and researchers in a range of fields related to child and adolescent development. Throughout the program, students are encouraged to integrate research, theory, and practice. These goals and expectations are outlined in the Program Philosophy. This program Studies provide excellent preparation and foundation not only for graduate work in the humanities and social sciences, but also for careers in a number of fields, including traditional areas, such as business, education, health care, law, journalism, social work, and politics. Because the African Diaspora has so deeply influenced the making of the world today, it is an ideal field for students wishing to work in public and private organizations that investigate issues of far-reaching significance and consequences in the United States and beyond. This program offers students a chance to explore the diverse groups, cultures, histories, and experiences that make up the U.S. from a variety of disciplines and perspectives. This program offers the study of human diversity in all times and places. It brings together perspectives from the sciences and humanities, and from non-Western as well as Western societies, to illuminate different aspects of the human past, the human body, and contemporary social life. Global perspectives, field research and experiential learning, and concerns with justice, ethics, and social well-being are hallmarks of anthropology. Vanderbilt s faculty have a strong research focus on Latin America and historically marginalized groups, especially indigenous people. This program is offered in a variety of media, which provide wide-ranging methods and perspectives. Our courses emphasize creative and critical approaches to learning. Many students will use the program in art as a foundation for careers in which creativity and the visual are especially valued, as the basis for advanced training in professional schools (such as art, architecture, museum studies), and for employment in galleries, museums, commercial art, or design-related fields. An important goal of the department is to help students become readers of the rich visual environment in our culture throughout their lives, as well as to encourage creative approaches to learning in all disciplines.